Member of the European Parliament Angelika Werthmann brought a fresh perspective towards improving the quality of life of over 9 million people living with neurodegenerative diseases (NDDs) in Europe. 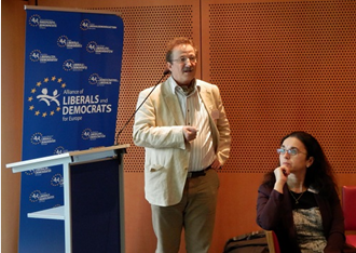 Following a panel discussion on the challenges of NDDs in the workplace, MEP Werthmann offered to launch and sign a Written Declaration of EU parliamentarians, in order “to give people with neurodegenerative diseases better opportunities within Europe”. The event was co-organised by EMSP in collaboration with Alzheimer’s Europe (AE) and the European Parkinson’s Disease Association (EPDA). Also find the Press Release here. Last #EMSP Annual Conference 2019 Speaker Announcement! We are proudly present our inspiring motivational speaker, Izabela Sopalska-Rybak, a..